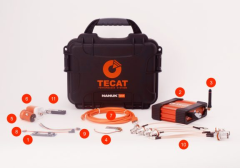 TECAT Perforamance Systems designs and manufactures wireless sensor systems for the test and measurement market, as well as integrating that technology into industrial parts and equipment for various industries. Our software and firmware, with advanced RF and power management algorithms, differentiate our product. This allows our custom engineering and sensor development services to leverage our core technologies for applications requiring innovative solutions to measure data in places and applications that were previously inaccessible. 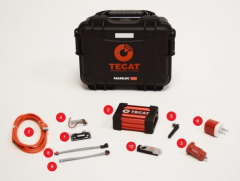 Delivering wireless sensor solutions that are unmatched in accuracy, price, size, efficiency, and simplicity, TECAT maintains headquarters in Ann Arbor, Michigan USA. TECAT Performance Systems was founded by Dr. Douglas Baker, an automotive industry veteran with many years of R&D experience involving engine direct injection fuel systems; algorithms, firmware and simulation technologies; and data acquisition systems and sensors. While designing engines at TECAT Engineering, a company he founded in 1997, Dr. Baker recognized the need for a torque measurement system that was small, cost-effective, and harmless to the system being tested. Finding no such solution on the market, Dr. Baker invented his own wireless data acquisition system targeted at measuring rotating shafts. Called the T3, the non-invasive, wireless, torque-measurement device was able to provide performance data on new engine designs. Recognizing the overwhelming need for such a product in the testing and instrumentation arena, he began to build prototypes. After further refinement and improvement, the system was ready for wider distribution. In 2010, the first commercially produced version of the wireless torque measurement system — the Model 462 — became available. To better structure the existing organization for future growth, Dr. Baker established TECAT Performance Systems, LLC in 2014. Ways to measure and minimize the effects of shock, vibration and noise through shock absorbers, dampers, and others. Look for your first issue of the Shock, Vibration & Noise newsletter to arrive soon.